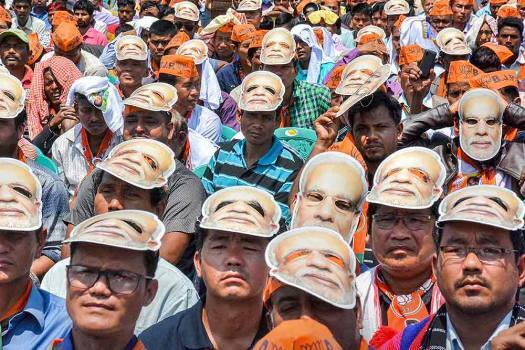 BJP supporters wear masks of Prime Minister Narendra Modi to extend their support during Amit Shah's election rally at Bordumsa, in Changlang district. 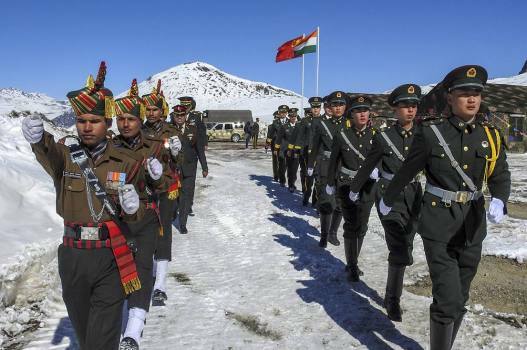 Indian and Chinese soldiers jointly celebrate the New Year 2019 at Bumla along the Indo-China border, Arunachal Pradesh. 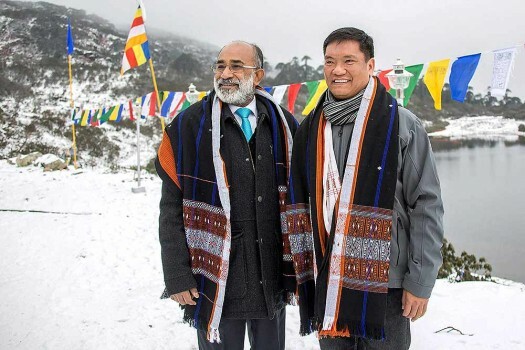 Arunachal Chief Minister Pema Khandu with Union MoS for Tourism KJ Alphons, at Tawang. 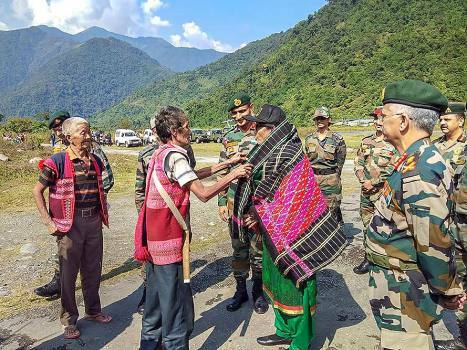 Defence Minister Nirmala Sitharaman greeted by village elders of the local Mishmi tribe of Hyulong on the occasion of Diwali in Arunachal Pradesh. 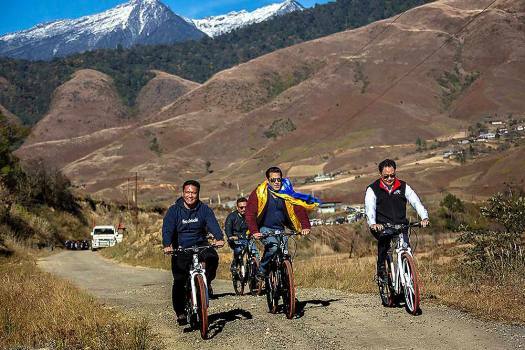 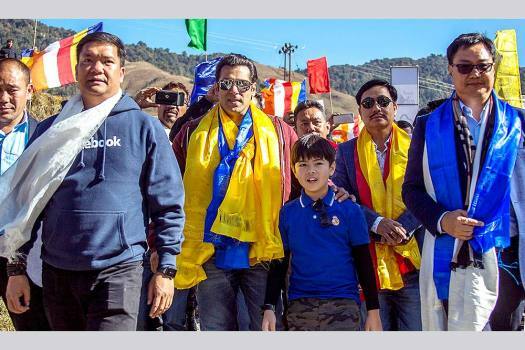 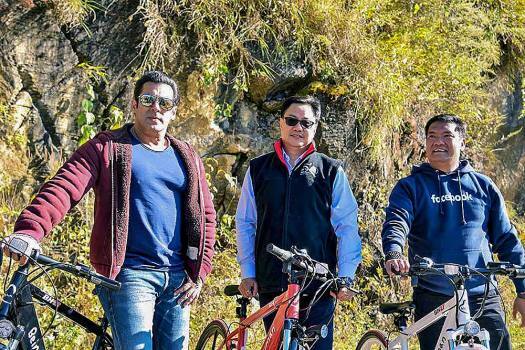 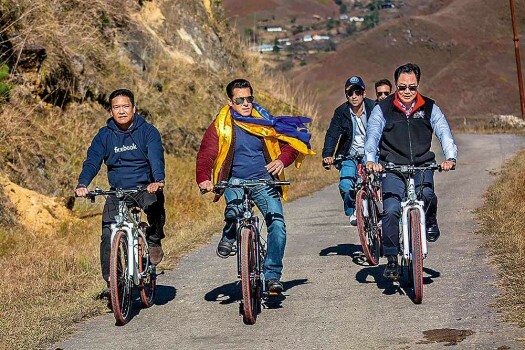 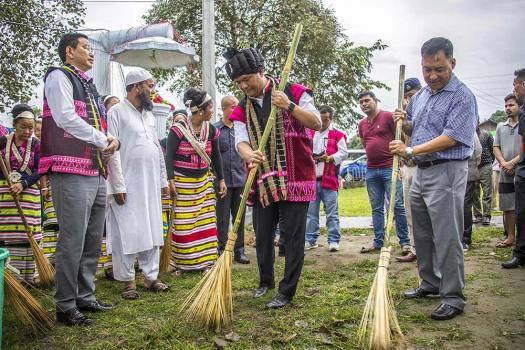 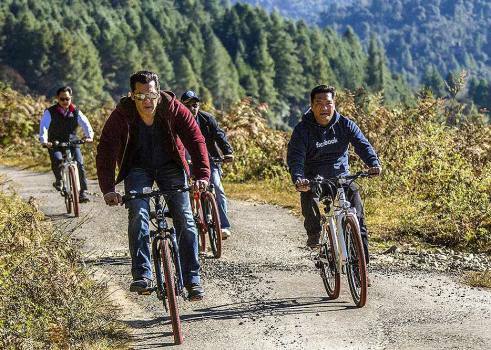 Arunachal Pradesh chief minister Pema Khandu participates in a Swachh Bharat Abhiyaan event at the Tezu market. 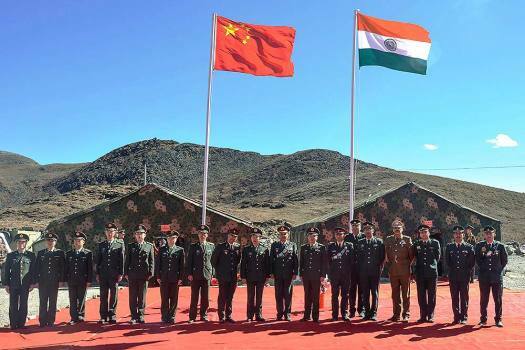 The border guarding troops of Indian and Chinese Peoples’ Liberation Army pose for photos during a Military Border Personnel Meeting (BPM), in Bum-La pass. 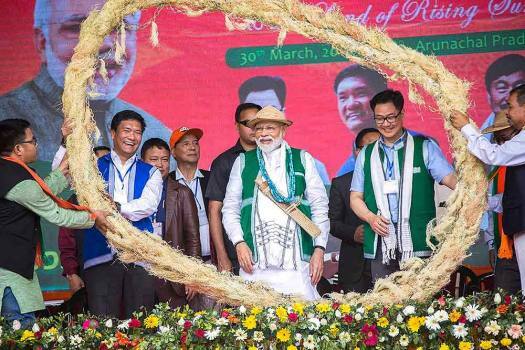 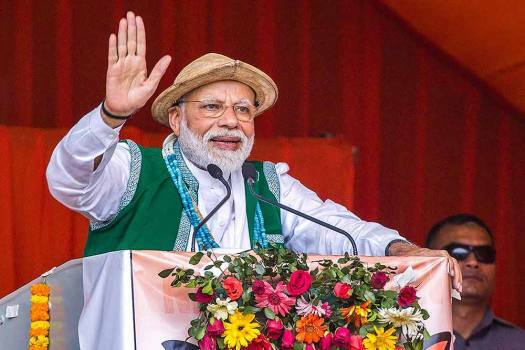 Addressing an election campaign in Arunachal Pradesh, PM Narendra Modi said Congress manifesto should be called a 'hypocrisy document'. 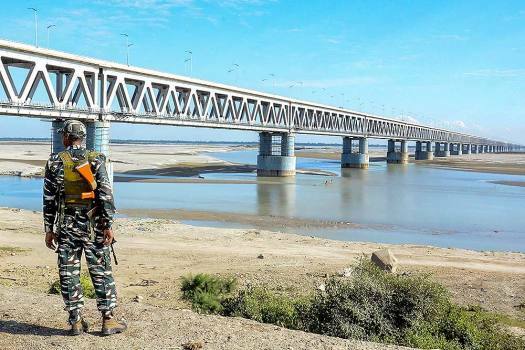 Tsangpo river, known as Siang, upon entering India flows downstream to join the Brahmaputra. 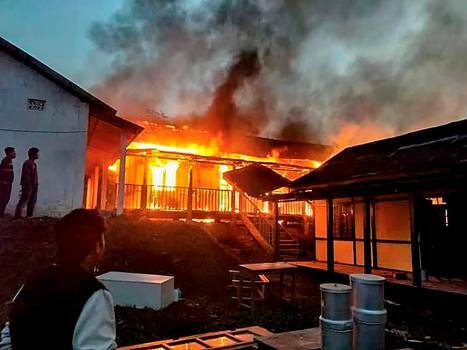 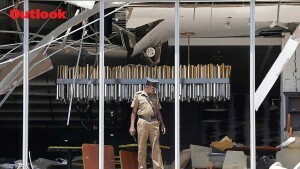 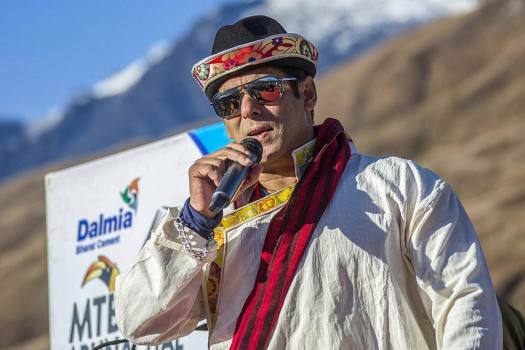 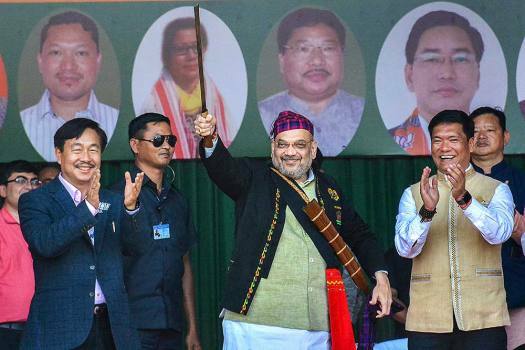 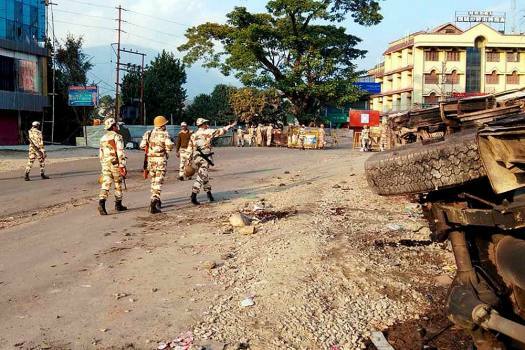 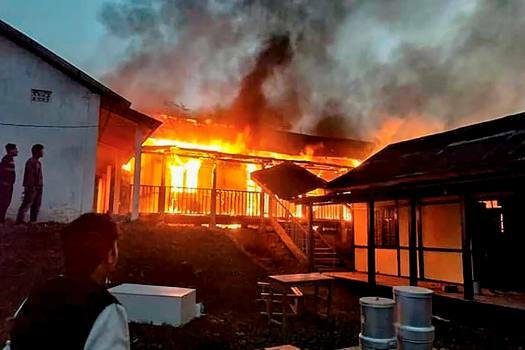 If the general elections are advanced, then Sikkim, Andhra Pradesh, Telangana, Arunachal Pradesh, Odisha, Haryana and Maharashtra will have to be persuaded to dissolve their assemblies by six to 11 months. 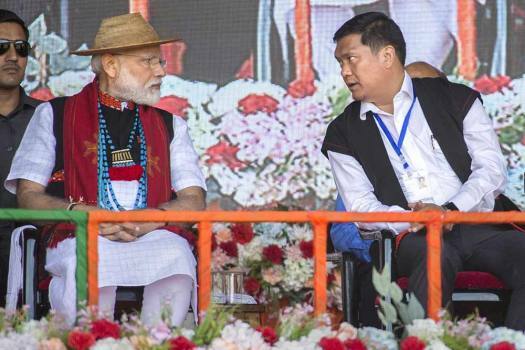 Yak is accustomed to very cold temperatures and can survive up to minus 40 degrees but finds is difficult when the temperature crosses 13 degrees.